An ordinary taxi ride in San Francisco swiftly turned into a melee between a driver and his passenger early Monday. The violent ordeal broke out around 3 a.m. when the passenger, 36, became irritated with the 65-year-old driver's route selection. The passenger proceeded to punch the driver in the face, prompting the cabbie to stop the vehicle and yank his assailant from the cab, police said. NBC Bay Area obtained dashcam video of the altercation that ensued near Silver Avenue and Mission Street before escalating when the passenger used his thumb to gouge the driver's left eye, police said. In the video, a 36-year-old man in the back of an SF Super Cab appears to do something; it's not clear what, but the 65-year-old driver rubs his face. Seconds later, it's the driver who appears to punch the passenger, the start of a struggle that spills onto the streets. The driver was transported to a local hospital with non-life-threatening injuries while the passenger was taken into custody, police said. A Super Cab manager said it's the second attack on one of his drivers in three months. "I'm not surprised," said Cloud Friedrich, who also drives for Super Cab late at night. "There's a lot of attacks and robberies that happen I don’t hear about." 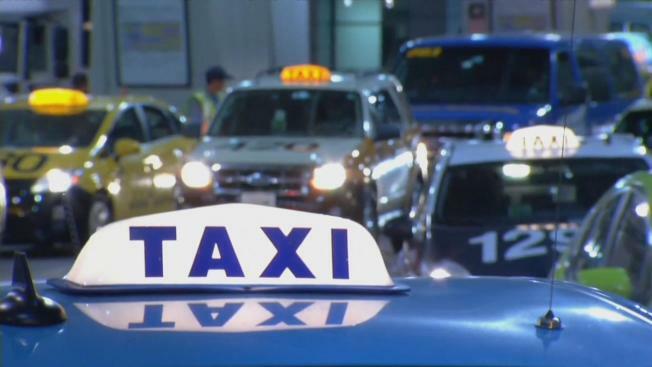 Cab driving is one of the most dangerous jobs in the country, according to the U.S. Department of Labor. Taxi drivers are up to 33 times more likely to be killed on the job than other workers and have the third highest rate of assaults after police and security guards. Local cab drivers say it's getting less safe because Uber and Lyft continue to eat up business. They now feel they have to pick up riskier fares just to make ends meet. "It’s so difficult to make money now, we have to take more chances," said Barry Korengold, a Citywide Cab driver.